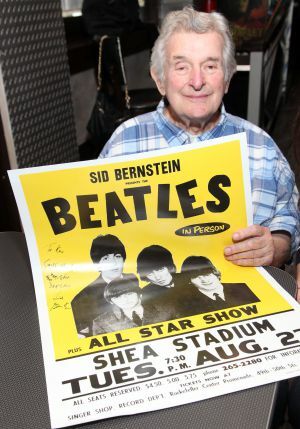 Concert promoter Sid Bernstein died this past Wednesday August 21. He was 95. 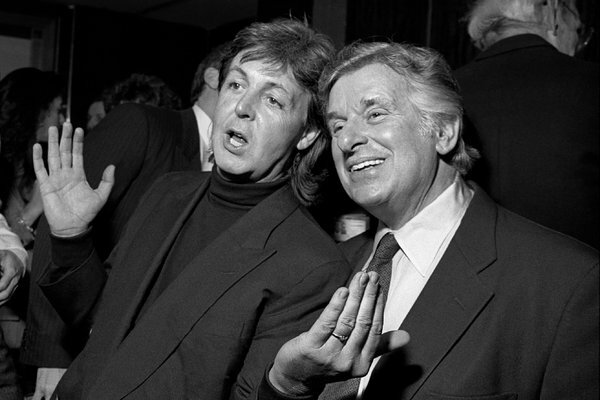 I always gave Sid credit as the promoter who brought the Beatles to the U.S. He promoted their first American date on February 12, 1964. That was three days after the Beatles famous Ed Sullivan Show appearance and seven months before Tim Tormey and I brought them to Pittsburgh on September 14. Sid was focused on the Beatles in 1963, when no one in the US had even heard of them. When he contacted a large theatrical agency in London, they told him to forget about The Beatles, that the group was a local phenomenon and getting no airplay in the U.S. He was right, no one in America knew about The Beatles. Sid was persistent and eventually located and convinced the group’s manager, Brian Epstein, to play Carnegie Hall in New York. The Beatles were getting approximately $2,000 a night per performance in England and Sid offered them $6,500 to do two shows at the 2,830 seat capacity Carnegie Hall. Brian Epstein thought Sid was being too ambitious, but agreed to do it because he could tie it in with the Ed Sullivan Show. The only problem was that Sid didn’t have the $500 deposit needed to secure the hold on Carnegie Hall. Fortunately for all of us, a friend was willing to take a chance and loaned him the money. When his friend asked who the act was and Sid told him The Beatles, his friend just said, “Never heard of them,” as he handed Sid the check. The two shows sold out immediately at a ticket price of $3.50, $4.50 and $5.50. Later, Sid became friends with The Beatles and wanted to promote a concert with them at Shea Stadium. Epstein was concerned that they couldn’t sell all the seats and he didn’t want his act to be embarrassed. Sid convinced Brian that he was so sure they would sell out; he would buy all the unsold tickets himself. The show played to a sold out, excited audience. The Beatles performance at Shea Stadium remains one of the most outstanding concerts to this day. In addition to being a concert promoter, Sid Bernstein was also a theatrical agent and a well liked person. He will be remembered. ← Adventures in Rock and Roll!